Jacob Cortez, 25, is a tattoo artist at Dana Point Tattoo who specializes in American Traditional styles. 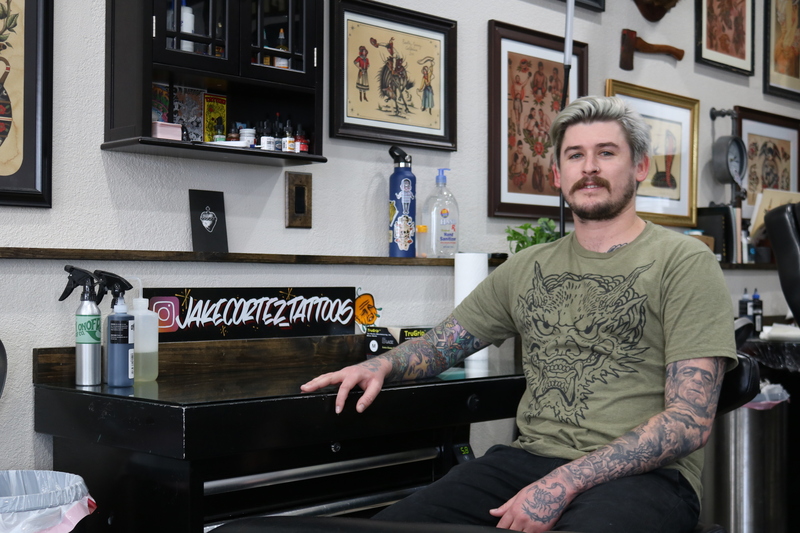 He has been tattooing since age 20 and is the first artist to be profiled for Dana Point Times’ Artist Spotlight. Q: How did you get into tattooing? A: I started getting tattooed at age 19 and fell in love with the culture and lifestyle of tattoo artistry. I started doing research on the history of tattooing and began an apprenticeship at Costa Mesa Tattoo under Steve Schultz. I love the freedom of being able to express yourself through tattoos and developing myself as my own artist. Q: How is tattooing different compared to other creative outlets of making a living as an artist? A: One thing I love about this line of work, and what makes it unique to other career artistry, is that you can cater to your clients on a completely different level. As an artist, you broaden and expand your creative abilities to what the customer wants to collaborate on a piece of art that they take with them everywhere for life. It serves a different kind of purpose than fine art that can be hung on your walls. Q: What makes a good tattoo artist? A: An artist that stays humble. An artist that, given a good foundation to learn and build upon, has the ability to create clean, solid lines. An artist that can be open-minded, take criticism and can work with both customers and peers well. Q: What do most people not know about tattooing that you wish they did? A: It’s not just a career for tattoo artists, it’s our lives. Most of us are perfectionists, so even with walk-ins who have “simple” designs, it’s a lot of pressure to do perfect straight lines. For me, each tattoo, no matter the design, I feel responsible for doing a better job than the last one. You can follow Cortez’s work on his Instagram, @jakecortez_tattoos. Dana Point Tattoo is located at 34144 Pacific Coast Highway, Dana Point. 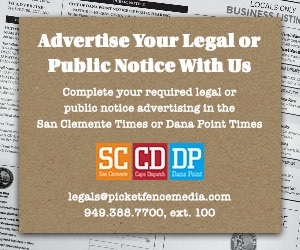 For questions, call 949.303.3410 or visit www.danapointtattoo.com.